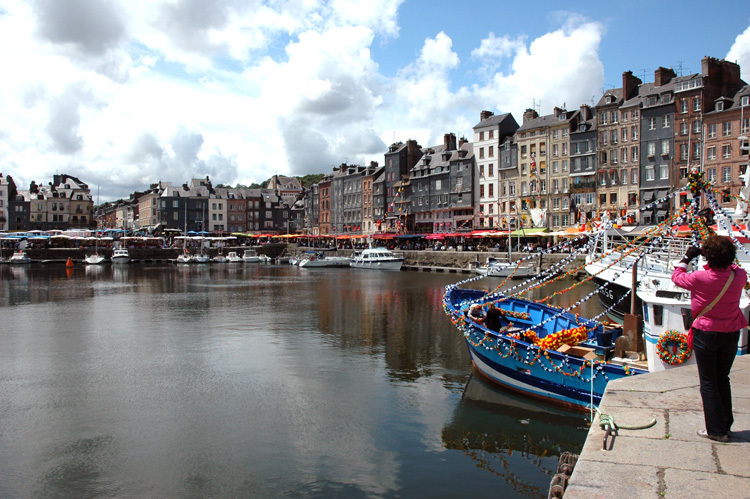 We’ve been to Honfleur a couple of times, never for long enough. It’s been on the way back, staying overnight to catch the ferry back from Caen to the UK. 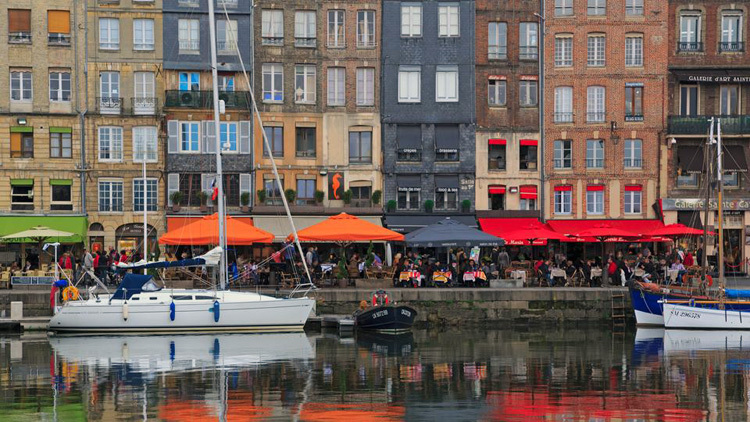 We think Honfleur is a cross between Amsterdam and Whitby; tall – 5 or 6 storey – buildings all bunched together, set around a harbour on the exposed north coast of Normandy, filled with visiting boats and fishermen. There are a couple of inner basins, up the river from the sea and well protected against gales and heavy seas – and the seas are high, with a very big tidal range round the Brittany and Normandy coasts as the sea piles up across the Atlantic. On our first visit we stayed at L’Absinthe, which is a restaurant with rooms. 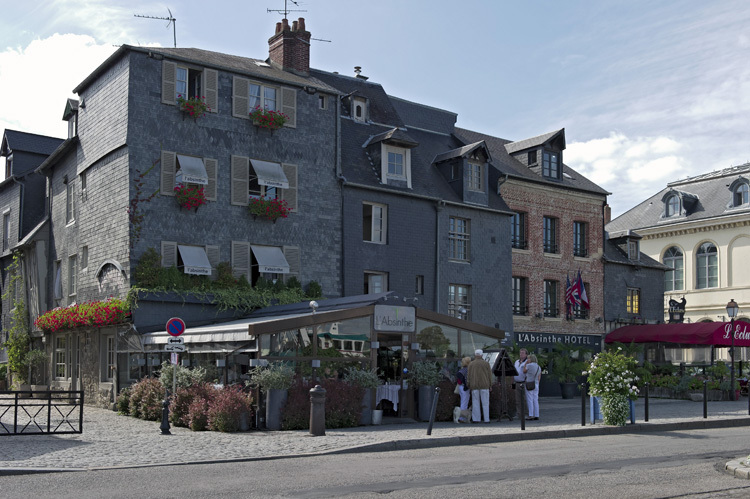 The restaurant fronts the Quay de la Quarantaine, with space inside and on a timber-decked terrace. Inevitably the menus are dominated by fish and shellfish. The Menus are good value, compared with the Carte; Seafood platter with lobster for two to start – 140 Euros anyone? The hotel part is either just next door or across a small lane, with nine comfortable rooms and two suites in which to sleep off the excellent food.